From artistic director Daniel Stepner comes the welcome news that “Period instrument virtuosos and vocalists—all veterans in baroque performance practice—are tuning up [kind of early—tell us if they need help] for the Aston Magna Music Festival’s 44th season. Four programs are inked for four locations, totaling 12 concerts between June 16th and July 9th. Performing at venues in the Berkshires, Hudson Valley and Waltham, Aston Magna is the longest-running summer festival of early music in the nation. Ticketing information is here. On June 16-18, Aston Magna explores the emotive sound of the lirone, in “Love and Lamentation: 17th-century Italian Monody.” The weekend features a first-time Aston Magna appearance by Erin Headley, internationally renowned lirone musician and scholar. As guest conductor, Headley leads the Aston Magna ensemble and vocalists Kristen Watson and Nell Snaidas, sopranos, in the music of Monteverdi, Marazzoli, Rossi and Marini. Baroque Ensemble: Catherine Liddell, theorbo; Laura Jeppesen, violin/viola da gamba; Daniel Stepner, Baroque violin and Michael Sponseller, harpsichord, and Headley on lirone and viola da gamba. The program includes the prologue from L’Orfeo and “Lament of Arianna” by Claudio Monteverdi; Marco Marazzoli’s Elena Invecchiata Vanitas Cantata on the aging Helen of Troy by; Lament of Zaida, and Scenes from Orfeo by Luigi Rossi. On June 23-25, Aston Magna Artistic Director, Daniel Stepner, on baroque violin, leads “The Trio Sonata,” a collection of violin works by Handel, Corelli, Purcell and Leclair, and a newly commissioned work for period instruments by the acclaimed young composer/conductor, Alex Burtzos. 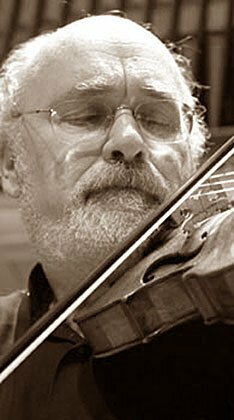 Stepner is joined by violinist, Brazilian Edson Scheid with Aston Magna ensemble members Laura Jeppesen, viola da gamba and Michael Sponseller, harpsichord. “Mozart’s Diversions,” June 29-July 1, features A Musical Joke, and The Horn Quintet, plus Divertimento, K. 287, with natural hornists Todd Williams and Linda Dempf, and the Aston Magna string ensemble. Aston Magna’s season finale weekend, July 7-9, brings a revelry of vocal talent to the “J.S. Bach: Sacred and Secular” performances. Dominique Labelle, soprano; Deborah Rentz-Moore, alto; William Hite and Frank Kelley, tenors; Ulysses Thomas and Jesse Blumberg, baritones, perform with a full Aston Magna baroque ensemble. The program features Bach’s Orchestral Suite No. 3, BWV 1068; Cantata No 12: Weinen, Klagen, Sorgen, Zagen; and Cantata No. 201: The Contest of Phoebus and Pan. Venues: Thursdays at 7 p.m. at Slosberg Music Hall at Brandeis University, Waltham, Mass; Fridays at 8 p.m. at László Z. Bitó ’60 Conservatory Building at Bard College, Annandale-on-Hudson, N.Y., and Saturdays at 6 p.m. at Daniel Arts Center, Bard College at Simon’s Rock, Great Barrington, Mass., with a special season finale concert on July 9 at 8 p.m. at the Mahaiwe Performing Arts Center, Great Barrington, Mass. Pre-concert talks are presented one hour ahead of each concert with Artistic Director Daniel Stepner and, for the “Love and Lamentation” concert, he is joined by Guest Director Erin Headley. Great Barrington concerts are followed by “Meet the Artists” wine and cheese receptions.